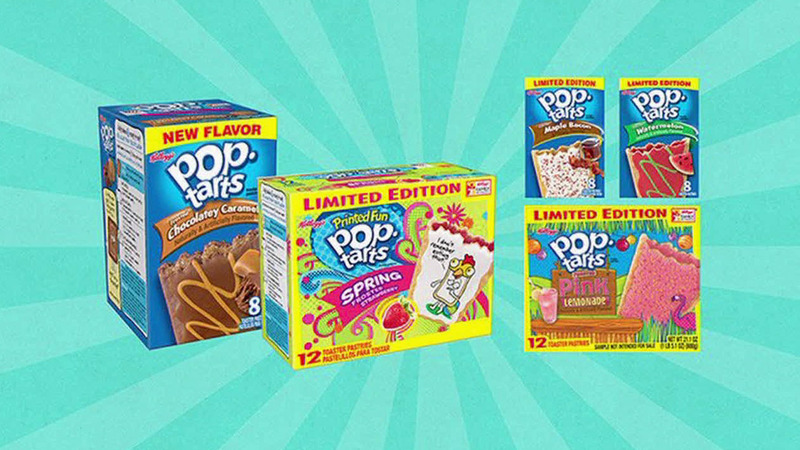 LOS ANGELES -- Kellogg's Pop-Tarts is rolling out five new flavors, one of which has bacon lovers in mind. In December, a bacon and maple-flavored Pop-Tart will be out for a limited time. It features salt and smoke-flavored "crunchlets." Other limited edition flavors set to be released in December are frosted watermelon and frosted chocolatey caramel. Pink lemonade-flavored treats will hit the shelves in April 2016 as well as the limited-edition flavor frosted spring strawberry. The strawberry tarts come with a cartoon painted into the frosting. Pop-Tarts started in 1964 with only four flavors: strawberry, blueberry, brown sugar cinnamon and apple currant. Since then, Kellogg's has released more than two dozen flavors, including s'mores and peanut butter and jelly.